When faced with an attack by a superior force, sometimes the key to survival lies in an unexpected move, or in remaining out of sight. But the survival of that single unit may be irrelevant when the rest of its army is destroyed. Such an example occurred in June 1967, when Israel almost totally destroyed the Egyptian army in the Sinai Peninsula. With skill and luck, one of Egypt’s best generals saved his force – and even managed to cross into Israel for several days – but failed to affect the battle at all. 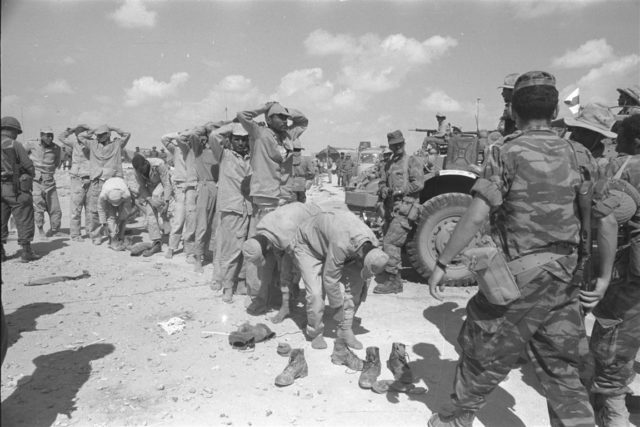 The war began when tensions between Israel and Egypt’s ally Syria during the spring of 1967 grew and pulled in Egypt. Egypt moved much of its army into the Sinai Peninsula facing Israel: 100,000 troops, 950 tanks, and 1100 armored personnel carriers. As in previous wars, the Egyptians outnumbered the Israelis, but in quality of equipment they were about equal, and the Israelis had the clear advantage in training and leadership. Both sides knew the battlefield intimately. One of the Egyptian units in the Sinai was a division-sized group of tanks and commandos commanded by Major General Saad el-Shazly. 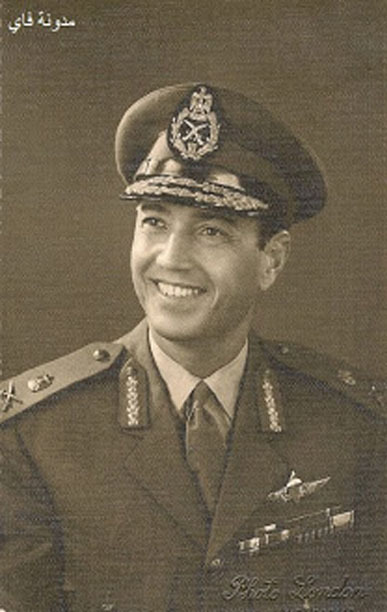 Shazly was a 45-year old major general, a bold and often boastful officer, who had trained in American and founded Egypt’s paratrooper force. General Shazly around the time of the 1967 war. His task force, thrown together only three weeks earlier, was made up of a tank brigade with 150 T-55 main battle tanks, two commando battalions, and some infantry and artillery, perhaps 7500 men in all. Its component units were competent, but they had little experience working together. Based in central Sinai near the Israeli border but relatively far from other Egyptian and Israeli units, it would be a reserve or exploitation unit in the event of an Egyptian attack. The war started with one of the most famous pre-emptive attacks in history. Israeli airstrikes early on 5 June destroyed most of the Egyptian Air Force while it was still on the ground, then Israeli tanks swept over the border. The war was essentially over by nightfall. But Shazly and his task force were unaware of most of this. Shazly was driving back from a headquarters meeting 70 miles away when the war started, he later claimed to a British journalist. Elsewhere in the Sinai, ferocious battles were taking place, with Israeli tanks outflanking and outshooting the surprised Egyptian defenders. The Israeli fighter-bombers ignored or failed to spot Shazly’s unit. The next afternoon, Cairo ordered a retreat from the Sinai. The orders went out at once to all units without details or time to prepare, which triggered a mad scramble back over the Suez Canal. Many troops abandoned their vehicles and equipment as they rushed westwards to safety. Soldiers fell back through the Mitla Pass, a natural bottleneck that became a nightmarish highway of death as Israeli jets and tanks raked them with gunfire. Shazly never received the retreat orders, he claimed. 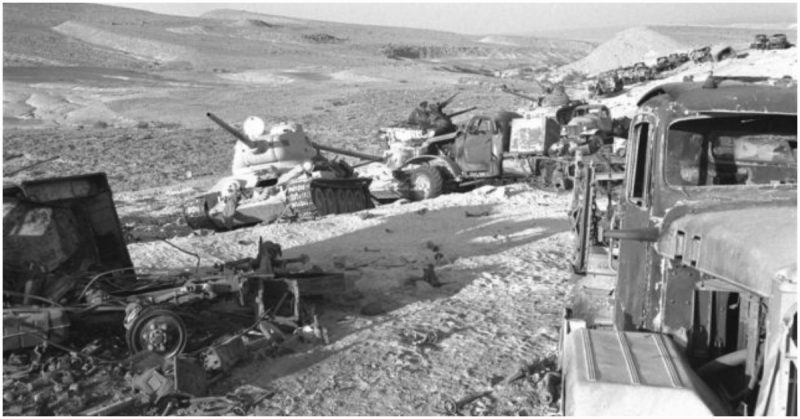 Israeli tanks thrust to the north and south, and the front lines quickly moved on. With no Israelis nearby, and the only exit sealed behind him, Shazly ordered his force to advance – into Israel. The tanks and commandos moved forward cautiously but quickly into the desert, crossing into Israel with no resistance. There, in a shallow L-shaped valley, they hunkered down, forgotten by both sides. “There were some long-distance skirmishes, but during that time we were not in a war,” Shazly recalled. He probably knew his unit had little chance of retreating on its own across rugged deserts and through Israeli lines. For once the bold general took the cautious choice. Not until two days later, on the evening of 7 June, did Cairo headquarters contact him. Stunned by his survival, and presence inside Israel, they ordered him to withdraw immediately. His force was one of the few units still surviving, and its escape was essential. Shazly agreed to pull back, but waited for cover of darkness to move. 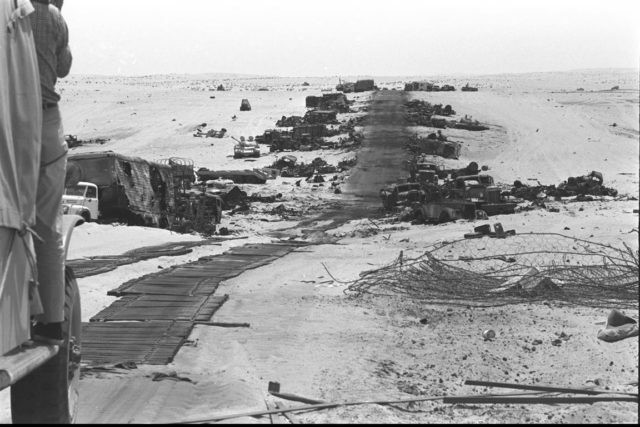 Overnight, his tanks and commandos moved 60 miles across the pitch-black Sinai wilderness, across eerily empty roads. As dawn broke, Israeli aircraft spotted his column and made low-level passes, pummeling them with bombs, rockets and cannon fire. Lacking specialized antiaircraft weapons, Shazly’s column fired on the Israeli jets with the only weapons they had, machine guns and small arms. Over 100 Egyptians were killed, but the column drove on, and the Israelis went off in search of easier targets. Shazly’s staff had no idea where the Israelis were, and only through sheer luck did they avoid running into enemy tanks. They reached the Suez Canal by dusk on 8 June, nearly 24 hours after setting out. The only bridge across the canal was still in Egyptian hands. Bloodied but largely intact, Shazly’s men crossed into mainland Egypt and safety. It was one of the last units to escape the Sinai desert, and seemed to be the only one that avoided any real combat. Shazly’s version of events is disputed by some Western historians, who accuse him of remaining immobile before withdrawing, or even abandoning his command. Egypt’s archives remain a state secret, and the truth may never be known. Assuming his story is true, the daring choice to “retreat by advancing” spared his men. It also meant he was of the very few Arab generals to ever successfully take and hold territory inside Israel. But it counted for nothing against the catastrophic Egyptian defeat. In just four days, the Egyptian Army lost 80 percent of its equipment, including at least 530 tanks. By contrast, Israel lost only 61 tanks. The Sinai was lost; Israel tripled the size of its territory. Determined to avenge defeat, Egypt rearmed and prepared to retake the Sinai. Could Shazly have done more? His force could have moved deeper into the Negev, perhaps cutting off the southern half of Israel. Alternatively, it could have stayed in place as Israelis bypassed it, becoming a thorn in their rear. Both would have been embarrassing for Israel, but would not have changed the war’s outcome, and probably guaranteed the destruction of the force when Israel’s tanks turned on them. Shazly was one of the few Egyptian officers who survived the war with his reputation intact. He went on to become Armed Forces Chief of Staff, and prepared the military for its greatest achievement, the October 1973 surprise attack on Israel. But his temper got the better of him, clashing with President Anwar Sadat and blaming him for Egypt’s defeat in that war. Shazly was declared a traitor and fled the country, returning only in 1992.